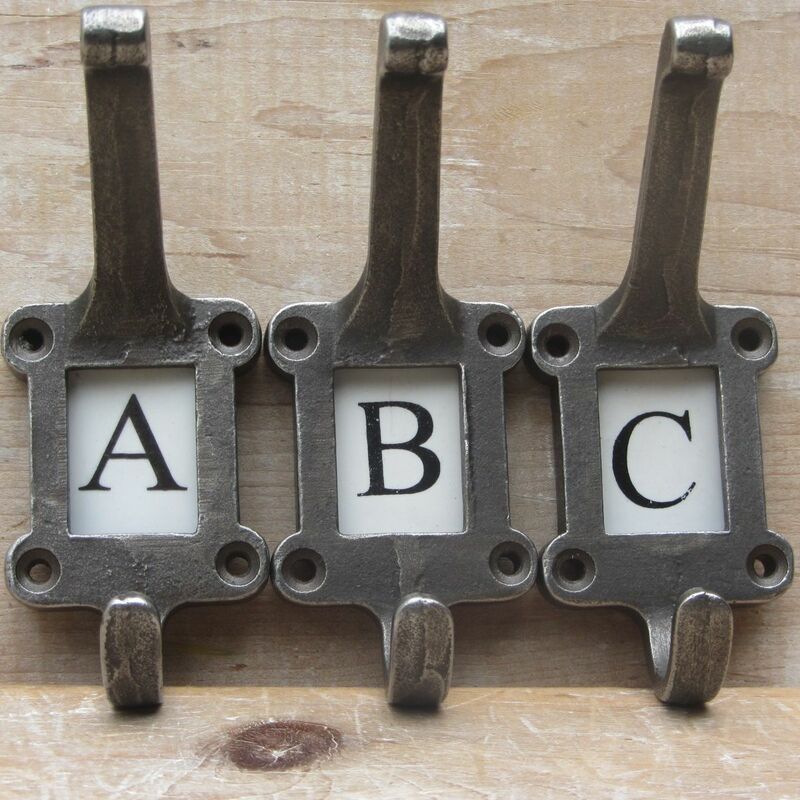 These lovely cast iron school label alphabet hooks are forged by hand in the UK using traditional methods and without the use of any artificial coatings, allowing them to age naturally. They have aged ceramic letter inserts and look great anywhere in the house, from hallways to bedrooms to bathrooms to the backs of doors etc. and make a great gift or addition to the home. Approx: 11.5cm x 6.5cm deep.